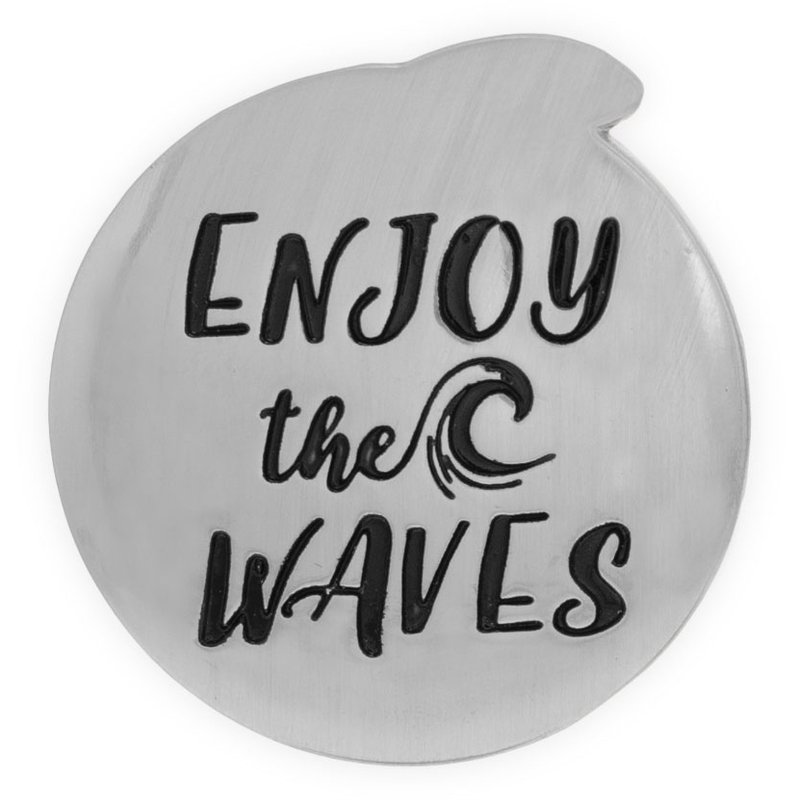 Hear the soothing waves lap against the sand as you hold these Tokens of Paradise in your hand. With remarkable detail and dimension, each highly detailed piece is an easy way to carry the beach with you! 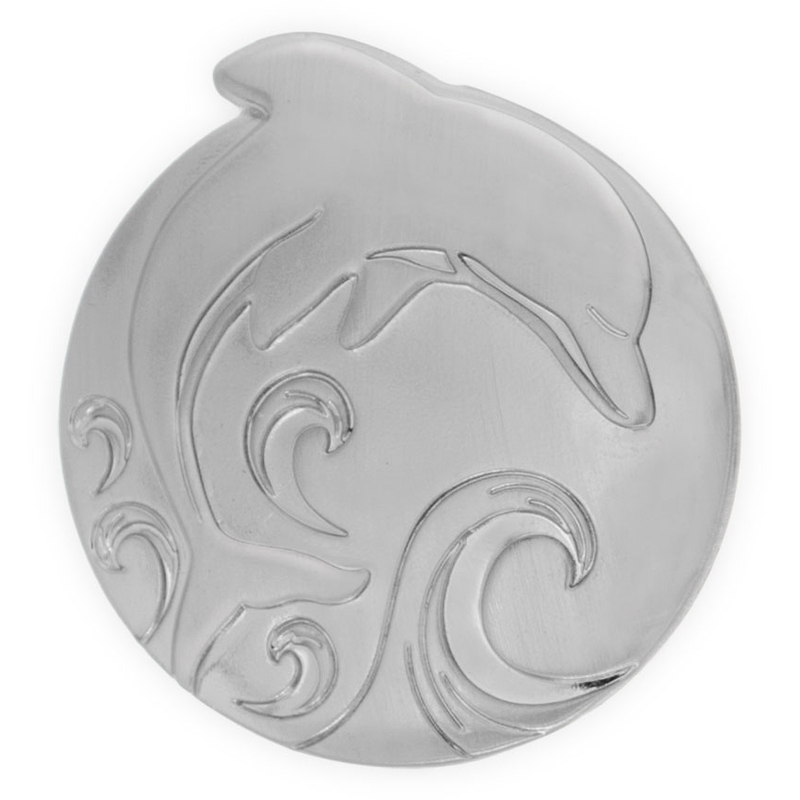 This Dolphin token has a remarkable 3D front, with a single leaping Dolphin and the turbulent ocean tide. 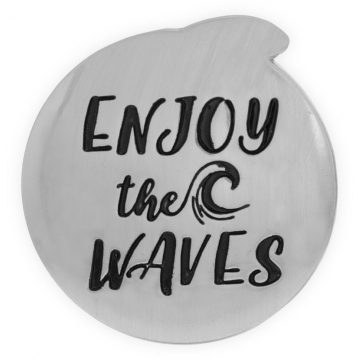 On the back is the reminder that "Enjoy the Waves". This reminder is easy to carry in your pocket or purse to remind you of the treasures in life. Tokens are 1 1/4" wide.